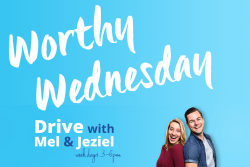 Each Wednesday, Mel and Jeziel ask someone from all over Perth to tell us a story worthy of retelling. This week, Melbourne rapper Simba Mak shared his incredible story. From a difficult upbringing in Zimbabwe, to high flying lawyer in Australia. Simba spoke about how he convinced one of Zimbabwe’s wealthiest men to sponsor his education, rapped his way into (and then out of) a career in law, and much much more.